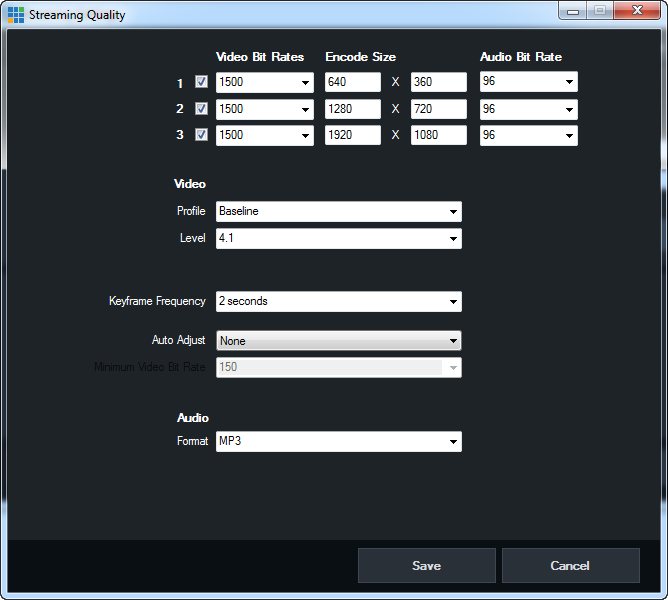 Note: adaptive (multiple) bitrate settings are available only when streaming with Flash Media Encoder or streaming with vMix. 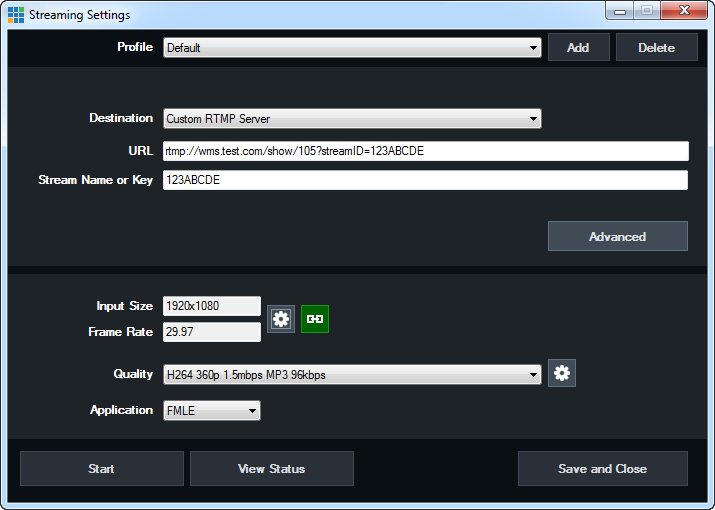 When live streaming with vMix, the broadcaster has the option to add multiple bitrates for output video, so that the viewers will watch the stream at its best quality according to flash players of their devices. 1. The profile must be Baseline and level 4.1.
on our testing lab we were able to successfully stream using both MP3 and AAC audio options. When a viewer watches the live streaming channel, the channel Player will adopt the appropriate resolution for the best video quality. Important: Multiple bitrate feature for videos is not available and can not be used if CDN module is activated. This feature was developed to work only through Adobe FMIS services and not CDN. Technically if CDN is activated, videos will play as expected, based on technical specifications and devices used, but mobile qualities will not be displayed and available on flash/non flash players. E.g. : If I have a video having the following qualities: 480p, 360p, 240p, 144p and CDN module is activated on the site, video in question will be available for playback only at 480p.